After six weeks of mostly solid training post-strained-hamstring recovery and I successfully completed my first half marathon. My main goal was to finish in under 2:00 and I DID IT!!! 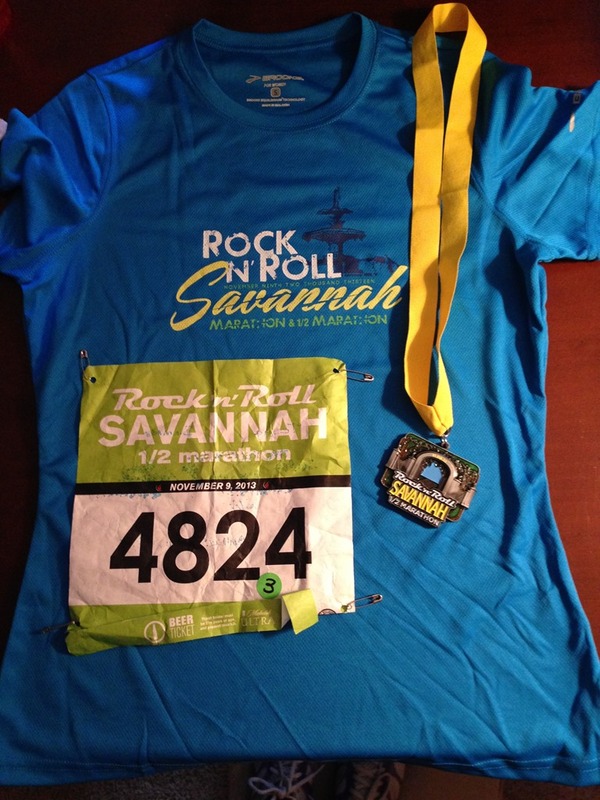 My stretch goal was to run under 1:45. With my training runs around 8 minute pace, it shouldn’t have been a stretch, but given my longest run was a ten miler, foremost in my mind at the start was to not go out too fast because thirteen miles was unchartered territory for me and a heck of a L-O-N-G way! Officially I ran 1:50.07 and despite an awful post-race experience (keeping reading for the dirty details), I’m ready to sign up for next year’s half. I’m thinking one half a year is more than enough, and hopefully I’ll be in much better shape come next November. So, after the race I wasn’t feeling very well. 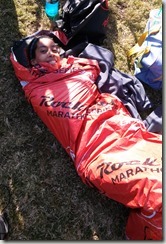 This is me after the race, and yes – I’m laying on the ground. I can’t even believe I was able to smile for this picture. First, I was freakin’ freezing. 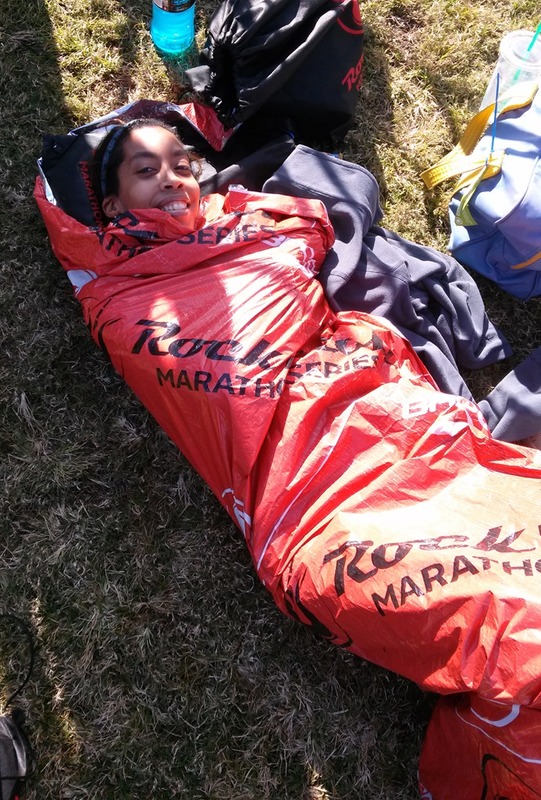 It was probably fifty degrees, hence me being wrapped like a burrito in those fantabulous post-race aluminum foil blankets. Second, I was trying to stave off stomach cramps that felt like a parasite burrowing in my gut. Honestly – I don’t recall much of the post-race festivities, aside from sleeping and more sleeping. 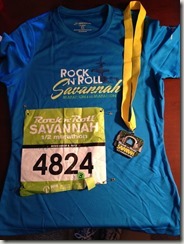 Luckily I was with hubby and an amazing bunch of runner-friends who took great care of me. It’s been a very long time since I’d been surrounded with like-minded runnerly types. Wow!! I miss that camaraderie and I’m truly looking forward to doing it again next year. Here’s to staying focused and injury-free! !